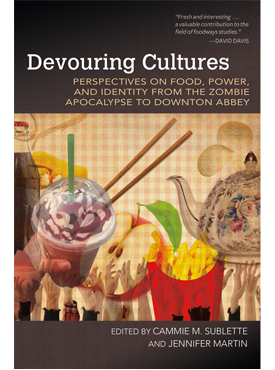 Devouring Cultures brings together contributors from a wide range of disciplines including media studies, rhetoric, gender studies, philosophy, anthropology, literary criticism, film criticism, race theory, history, and linguistics to examine the ways food signifies both culture and identity. These scholars look for answers to intriguing questions: What does our choice of dining house say about our social class? Can restaurants teach us about a culture? How does food operate in Downton Abbey? How does food consumption in zombie apocalypse films and apocalyptic literature relate to contemporary food-chain crises and food nostalgia? 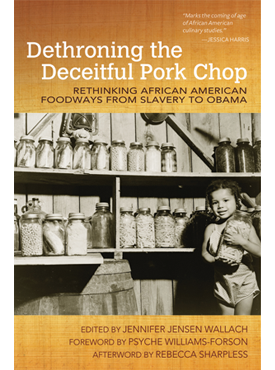 What aspects of racial conflict, assimilation, and empowerment may be represented in restaurant culture and food choice? Restaurants, from their historical development to their modern role as surrogate kitchen, are studied as markers of gender, race, and social class, and also as forums for the exhibition of tensions or spaces where culture is learned through the language of food. Food, as it is portrayed in literature, movies, and television, is illuminated as a platform for cultural assimilation, a way for the oppressed to find agency, or even a marker for the end of a civilization. 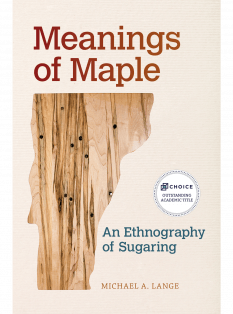 The essays in Devouring Cultures show how our choices about what we eat, where we eat, and with whom we eat are linked to identity and meaning and how the seemingly simple act of consumption has implications that extend far beyond sustenance. Cammie M. Sublette is professor of English at the University of Arkansas, Fort Smith, specializing in African American literature, race theory, and food studies. Jennifer Martin is a University of South Carolina Presidential Teaching Fellow in Social Advocacy and Ethical Life working toward her PhD in twentieth-century American literature. 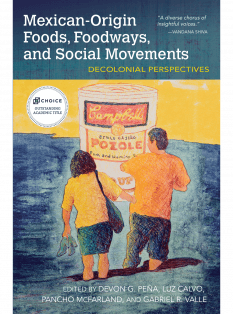 Food and Foodways, a series from the University of Arkansas Press, explores historical and contemporary issues in global food studies. We are committed to telling lesser known food stories and to representing a diverse set of voices. Our strength is works in the humanities and social sciences that use food as a lens to examine broader, social, cultural, environmental, ethical, and economic issues. In addition to scholarly books, we publish creative nonfiction that explores the sensory dimensions of consumption and celebrates food as evidence of human creativity and innovation. Course Description: An interdisciplinary approach to studying language as a medium of communication. It includes both a survey of various theories of meaning and a study of symbol systems in the creation, maintenance, and change of a culture or social group.